I'm loving the color combination with this card! 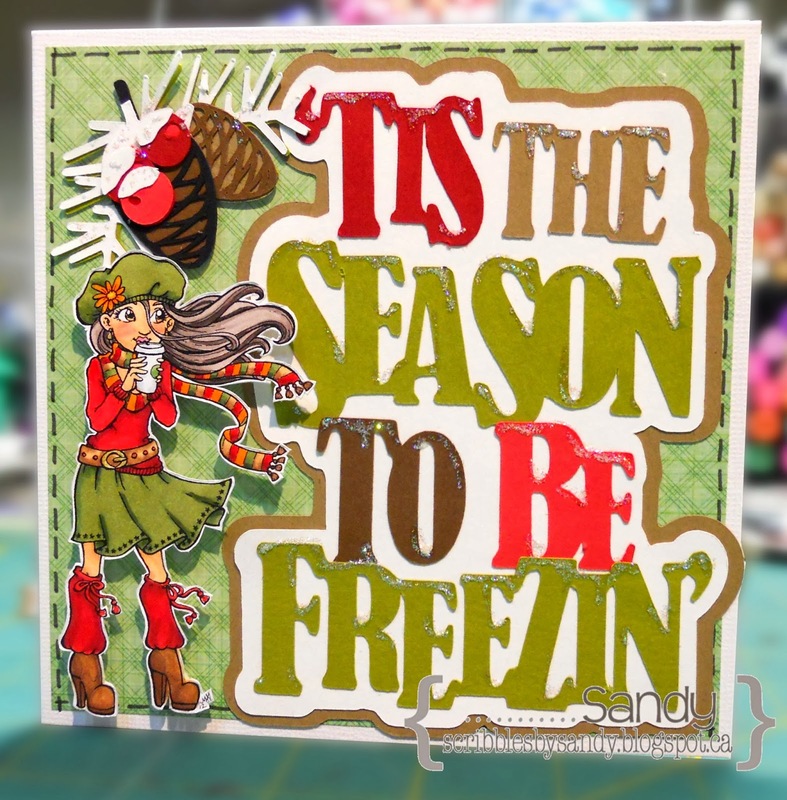 I used the image from Mayzy Arts Shawna with Latte colored with copics along with the die cut pattern 'Tis the Season to be Freezin' from Miss Kate Cuttables added some glitter glue for some sparkle accent; faux stitching around the edge...perfect! AWESOME - great image and I love the colours. Your colouring on 'Shawna' is brilliant !! Wonderful card. 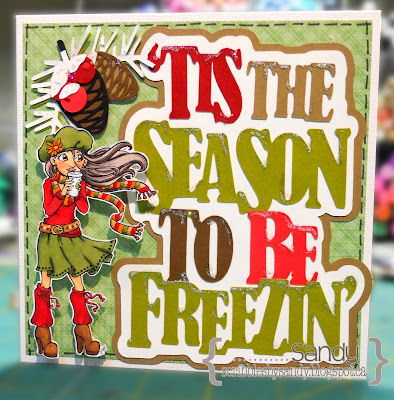 I just love that sentiment and the fact that you added a little glitter glue to represent snow. Fun image too! Love that sentiment and the size! It's perfect with that adorable image! Great colors too! OH mY WORD!!!! Sandy this AMAZING!! Your coloring AMAZING....Love the choice in colors!! Love that sentiment too....Great way to dress up any card!! !